Baca Street Arts District 18th Annual Holiday Tour! 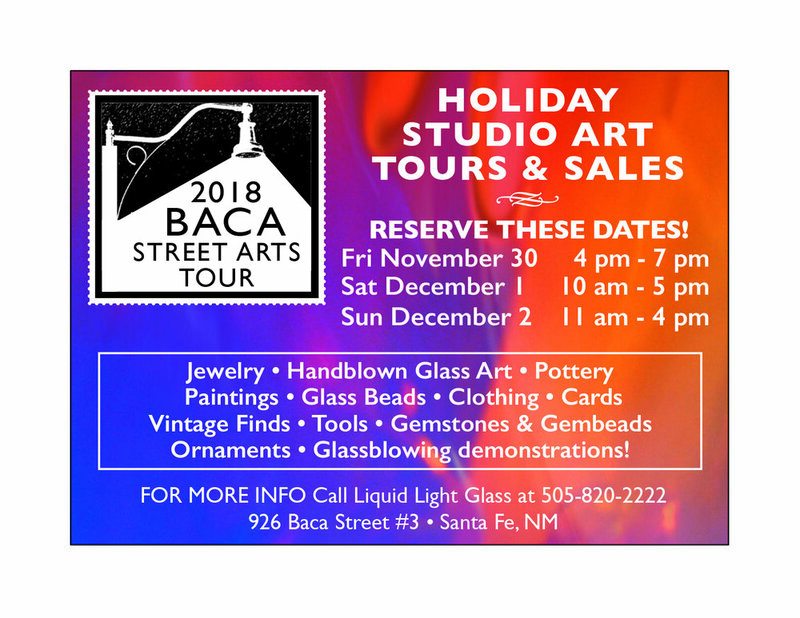 Baca Street Arts District presents our 18th Annual Holiday Arts Tour! Starting at the corner of Cerrillos Road and Baca Street, everything is within walking distance. Unique gifts, bring the kids to see Santa, eat smores, buy art, even adopt a pet! Glassblowing, sculpture, jewelry, furniture, gem stones, pottery, clothing, paintings, cards, refreshments, and so much more! Maps available at participating shops. Baca Street Holiday Tour 2018!